I’m reclining on a lounger in front of the swimming pool, my feet crossed in front of me, my computer on my lap. A light breeze is blowing and it’s a perfect 75ºF, the stuff of California dreams, right? After a year-long construction project next door my neighbors are finally able to enjoy their new home and me…I’m relishing the quiet. Instead of demolition noise and concrete drilling that would start each day at the hour local laws would allow, I can hear the birds chirping again, the occasional squirrel scuffle and the acorn woodpeckers’ rat-tat-tat on the oak trees outside. It doesn’t get much better for a summer day. The only thing I’m missing is a refreshing cocktail in my hand but it’s Monday and just past noon so my ice-cold can of orange-flavored La Croix is hitting the spot instead. But speaking of new homes, notice anything different? 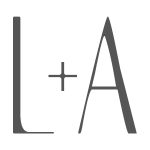 L+A has received a much-needed makeover and I am so happy with the new look. I hope you linger, take a look at the new space and like what you see as much as I do. What’s new? The Home page displays new featured sections on the site (Home+Garden and Travel) and the navigation tabs at the top of each page are much improved, making it easier to scroll through the topics you are interested in. If you click on the Blog page you will see a category titled Tried and True on the sidebar. These are the recipes that I serve frequently at my table and also the ones that you’ve told me you’ve prepared over and over again. I’ll be going through my own recipe index in the coming weeks to add the rest of your and my tried-and-trues. The Travel section will now have two areas: 1.) Guides + Highlights and 2.) Travel Tips. With twenty years of traveling with my husband I’ve picked up a tip or two and I’ve been remiss in sharing them with you. I have a backlog of trip highlights from the past few years, most recently Spain and my latest Paris visit, that are on the pipeline, too. And if you’ve been an L+A reader for a few years you know about the crazy love affair I’m having with succulents. The new Home + Garden section rounds out this new chapter for L+A. The succulent community is thriving and I’m fortunate to have become a part of it. The succulent section is where I plan to highlight the beauty of succulents and also share what I’ve learned about water-wise gardening. Lastly, whenever I’ve said I in this post in reference to the blog’s design, the person really responsible for making this new look come to life is Jennifer at Hello You Designs. I described to her my vision for a modern, clean, airy site and she not only delivered she exceeded my expectations. For a tech noob like me Jennifer’s patience and willingness to assist me in matters beyond the scope of this project have been invaluable. She created a custom look for L+A but do check out her WordPress templates. Jennifer has a keen eye for design and is absolutely a gem to work with. So let’s toast this new chapter of L+A with a Rosé-Aperol Spritz. The classic preparation with Prosecco has been all the rage in Europe for years while my husband and I, all this time, have simply referred to it as “that orange drink” and have given it a pass. Finally, in Paris this past June we decided to forego our favorite pink wine and ordered orange instead. We were hooked at first sip. This version is nothing new but using rosé makes it the best of both worlds for us. 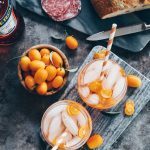 You don’t need sparkling rosé–still wine in this spritz is just as bubbly and refreshing since I use proportionately more soda water than the original recipe. And how do you like my use of kumquats? I couldn’t find good oranges at the market while my kumquat trees were loaded with fruit. The kumquat’s sweet and sour elements made it more than a suitable substitute for the absent oranges. 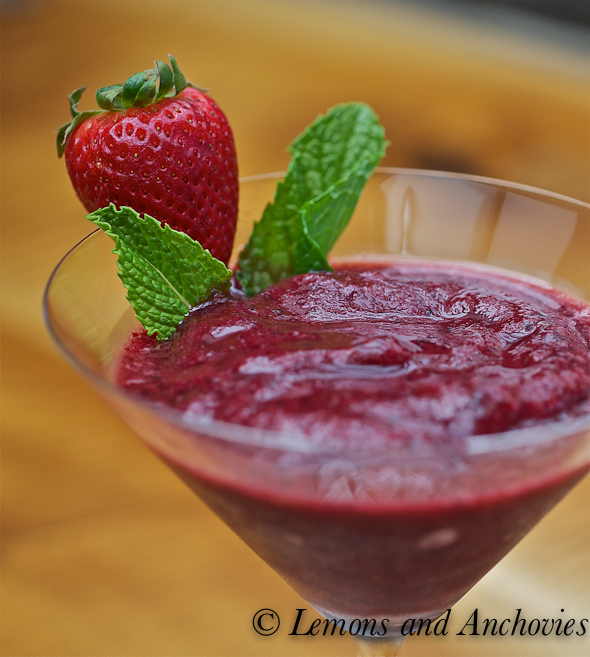 I’ve included both my version and the original recipe below–take your pick. 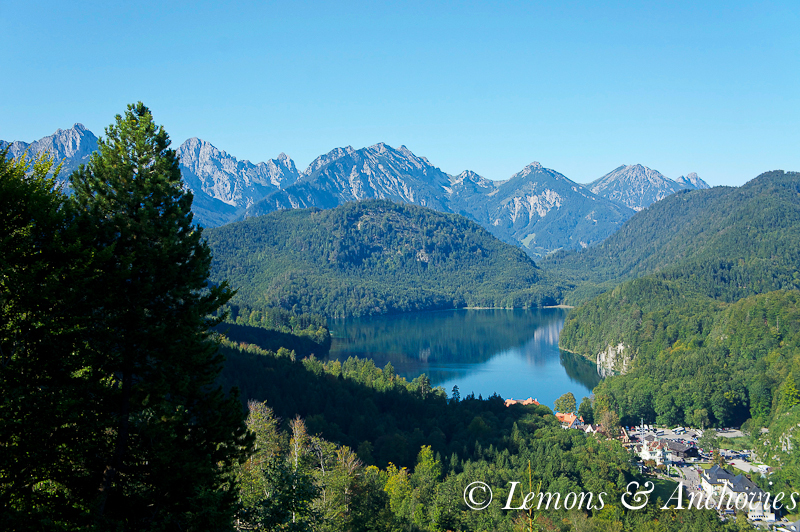 Cheers to more fun adventures ahead! 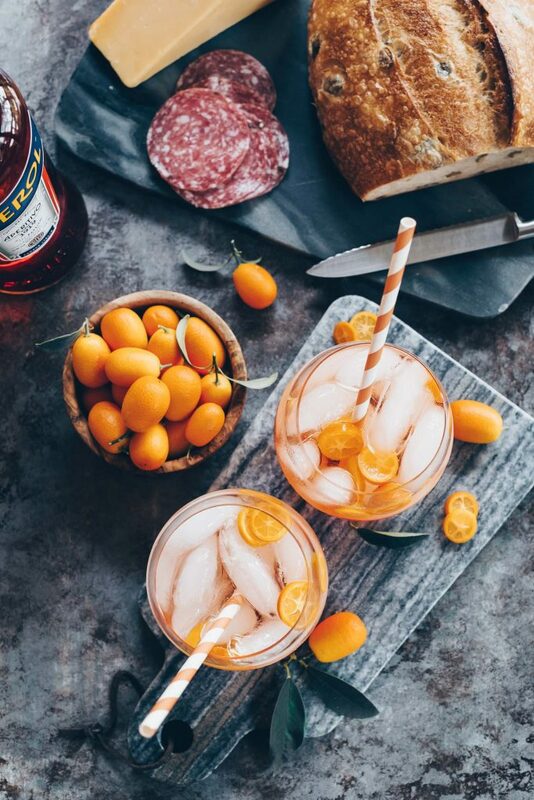 If you don't have prosecco at home you can still enjoy this Aperol spritz--this light, refreshing summer cocktail is still summer-perfect with French rosé. 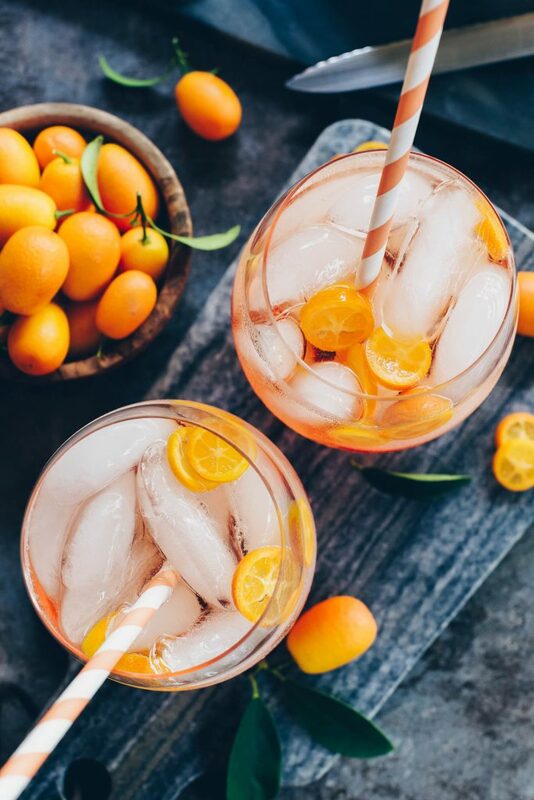 Fill a glass with ice cubes then add the Aperol, wine and soda water. 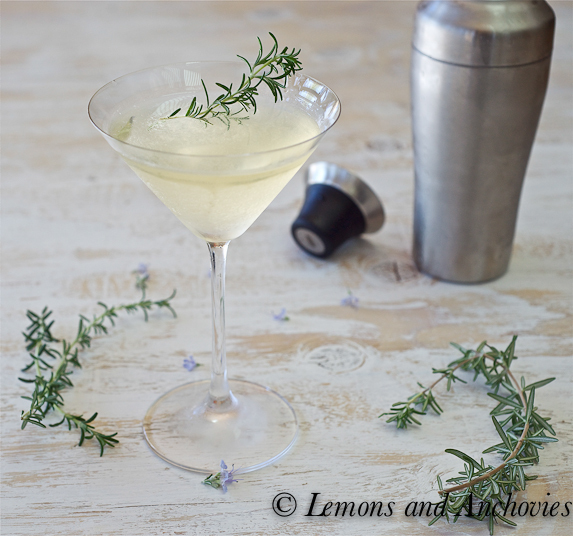 Garnish with your citrus of choice. 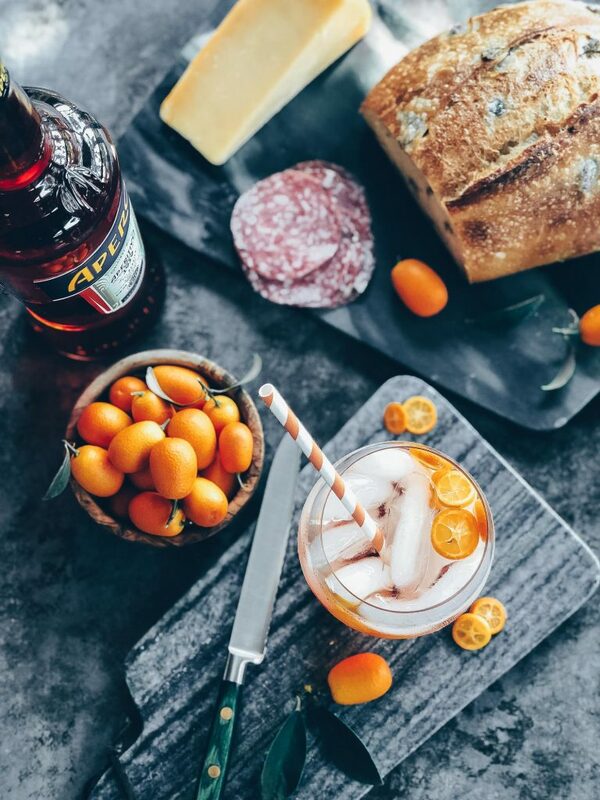 The classic Aperol spritz uses the reverse proportion of ingredients. three parts Prosecco, two parts Aperol and splash soda water. We like a lighter cocktail mix at home but feel free to use the proportions according to your taste. Congratulations, Jean! The new look is so fresh and beautiful (adore your About page! ), and I love the color scheme and the focus on your beautiful images (and succulents!!). 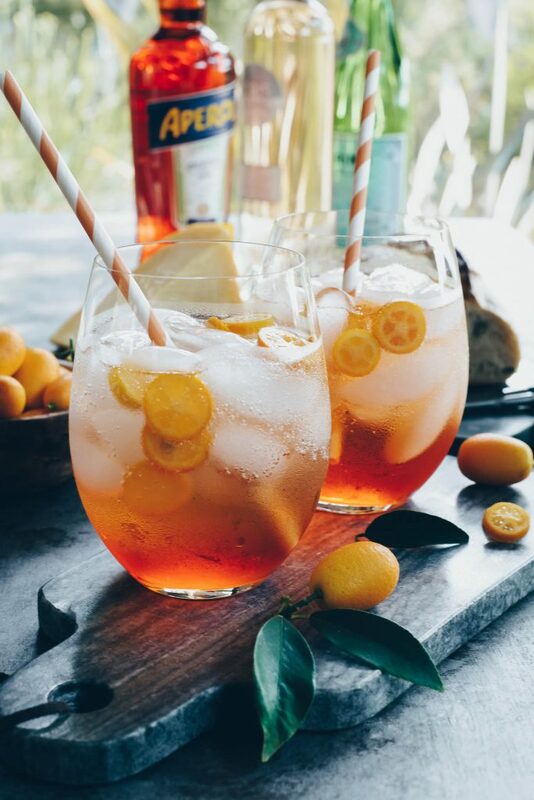 Can’t wait to follow along on your upcoming adventures… for now, wishing I could toast you with this refreshing spritz. 🙂 Cheers to a wonderful new L+A home! I’m so glad you like it, Laura. Cheers to you! Thank you so much for being so supportive of my blog!! Congrats on your new lovely home on the web; your vision for L+A is as classically styled as you are! It’s beautifully done and I love all the new corners we can now explore! Cheers! Congratulations Jean! … the much awaited do over is finally done and I love the new look. Navigating the website is more fun…cheers!